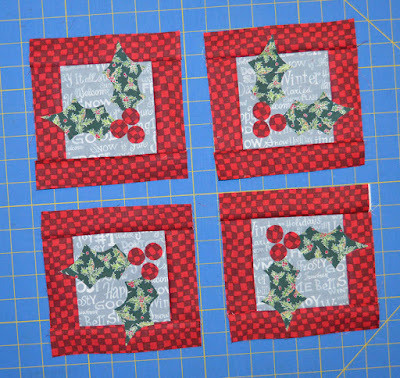 Note: Download the template for the holly leaves and berries here. 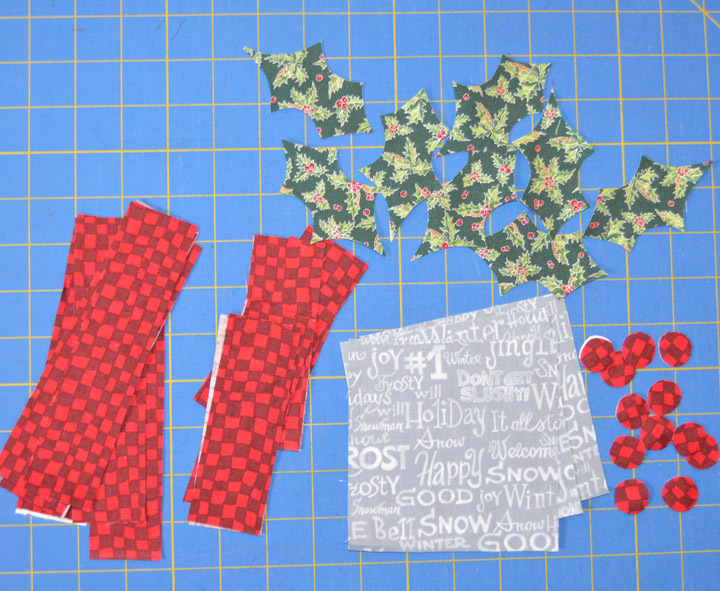 Step 1: Trace the indicated number of leaves and berries onto the paper side of fusible web. 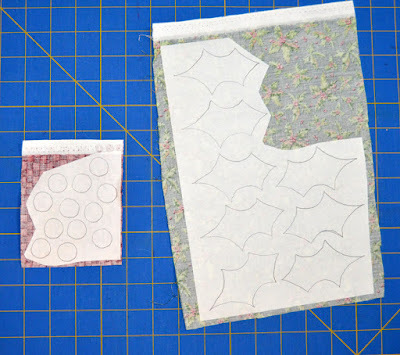 Adhere to the correct fabric, and cut out each shape on the drawn line. Set aside. 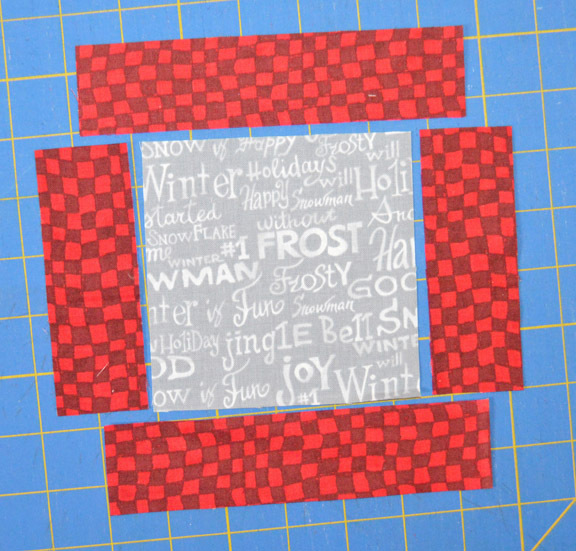 Step 2: Lay out a 4-1/2" gray square with two 1-1/2" x 4-1/2" red check pieces and two 1-1/2" x 6-1/2" red check pieces. 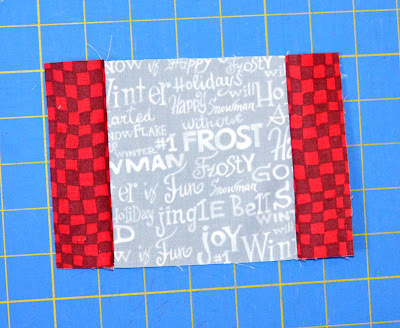 Step 3: Sew 1-1/2" x 4-1/2" red check pieces to opposite sides of a 4-1/2" gray text square. 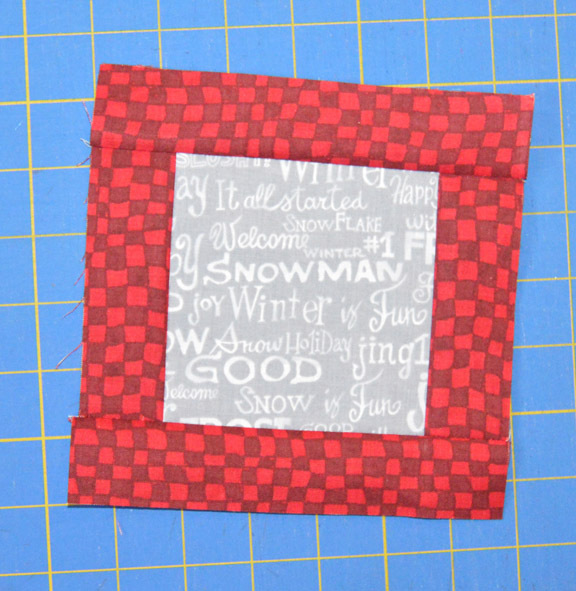 Step 4: Sew 1-1/2" x 6-1/2" red check pieces to the top and bottom to complete the pieced square. Step 5: Position two holly leaves and three berries on the block as shown. 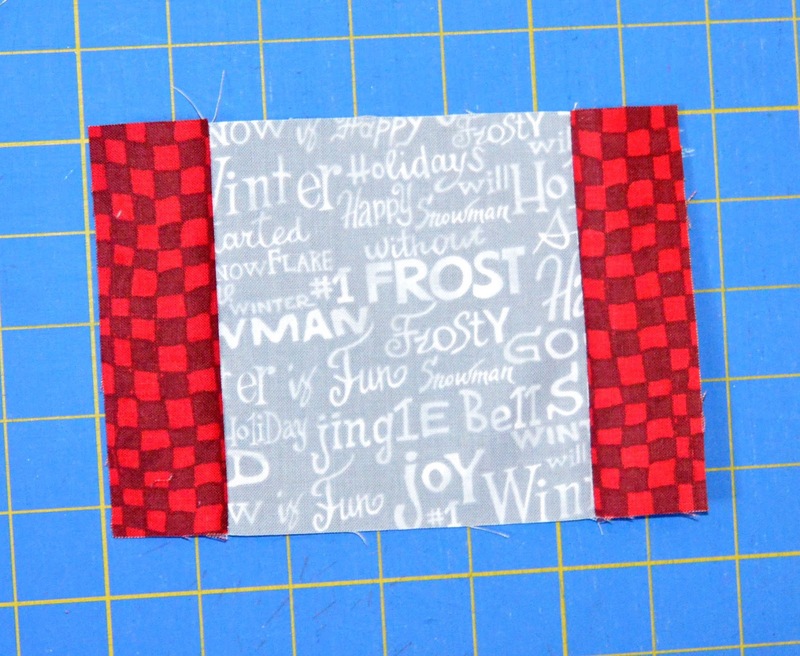 Fuse in place. Step 6: Repeat to make a total of four blocks. 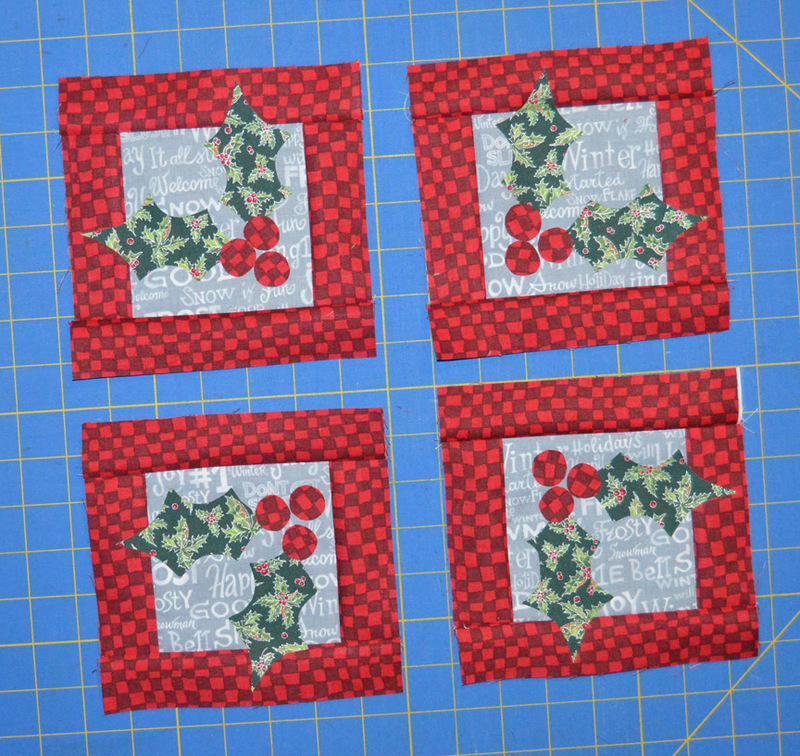 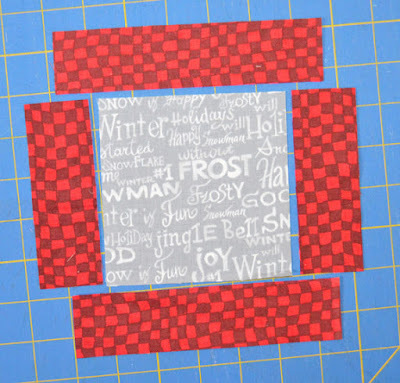 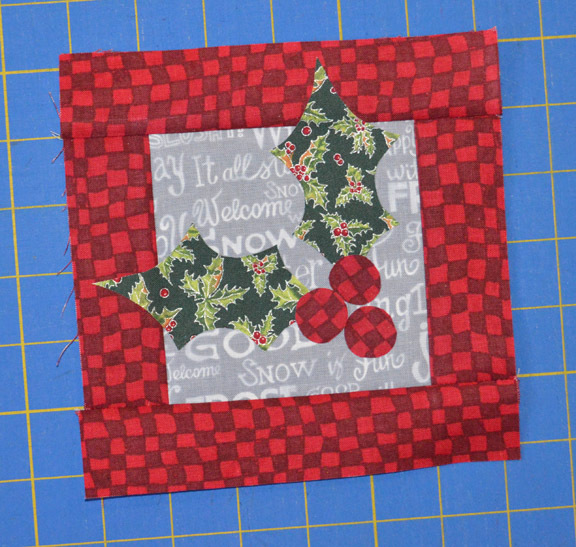 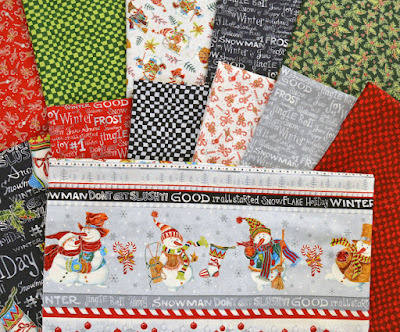 note the placement of the holly leaves and berries on each block; these will be corner blocks in the first border, so be sure text print is oriented correctly before you fuse. 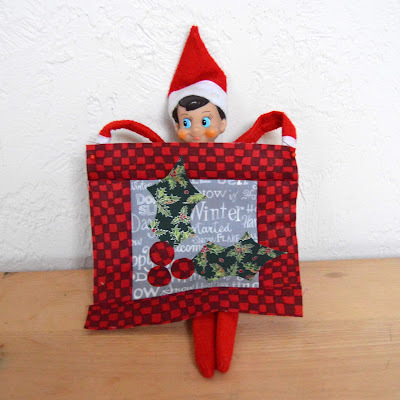 An elf on the shelf has joined our studio for December (see him more often on Instagram). We've been lucky that he hasn't caused much mischief yet--he even offered to hold up today's quilt block for a photo! 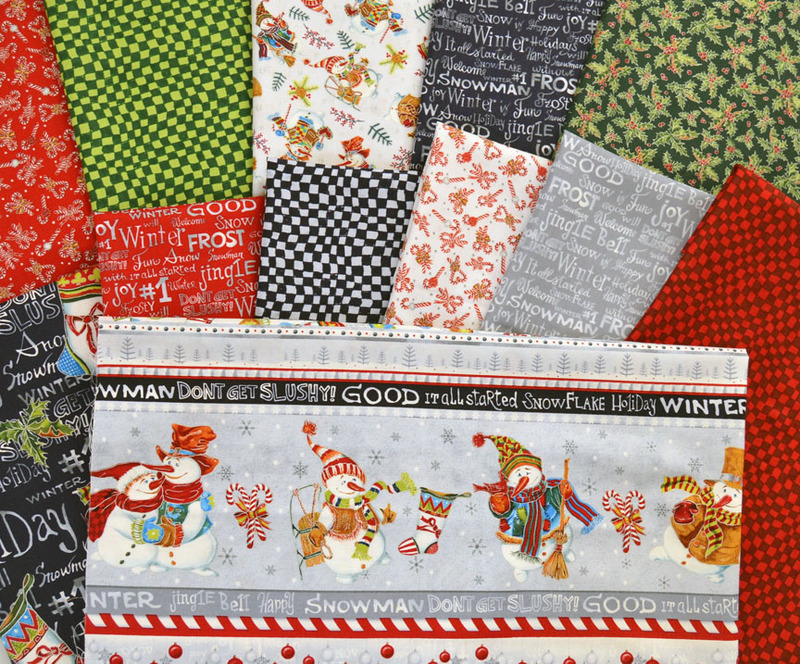 Where do I find out how much fabric to buy?